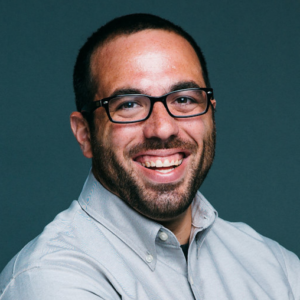 “Since we started using Databox, instead of having to go to Google Analytics, Search Console, HubSpot, and wherever performance data is being held, a client (and our team members) can go to one place to see what they need to see. By doing that, and by doing it in a way that’s quick, clean, and mobiel–it helps our clients have a better grip on their performance. What was life like before using Databox? I like data. Ever since I got into the marketing world, I wanted to prove that what I was doing was working. I’m a big user of Google Analytics and I love to track and understand why people are doing what they’re doing in the funnel. We were using Google Data Studio before Databox, and it’s a good tool, but I realized that for my clients, they need to be able to quickly understand what I’m saying, internalize it, and see that it’s actionable and not just a bunch of numbers on a screen. Otherwise, clients can obsess over too many, or the wrong, KPIs. I had this conversation today where a client was obsessing over email open rates. Yes, opening is important, but if your subscriber does nothing after that, it’s a problem. We need to educate them around the data, not just provide it to them. Before, we were just giving them data. Now, with Databox, we’re able to present performance data simply and provide our clients access to it all the time. They’re able to easily see how their funnel is performing without having to email me. How has that changed since you started using Databox? Since we started using Databox, instead of having to go to Google Analytics, Search Console, HubSpot, and wherever performance data is being held, a client can go to one place to see what they need to see. My team can go to one place and see what I need them to see. By doing that, and by doing it in a way that’s quick, clean, and mobile–it allows me to keep my sanity and helps our clients have a better grip on their performance data. 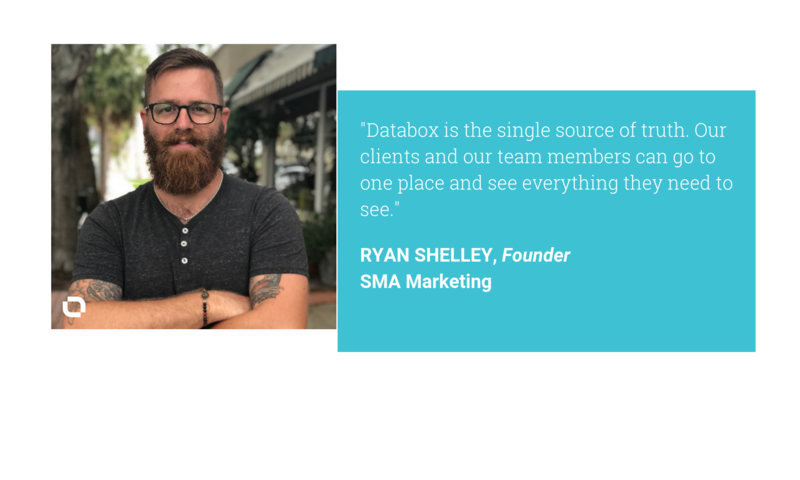 Want to get a firsthand look at how agencies like SMA Marketing use Databox to automate their client reports, set client goals, and much more? Sign up for one of our live agency demos.